This traditional ceramic pitcher makes a beautiful addition to the kitchen shelf when displayed for all to see. 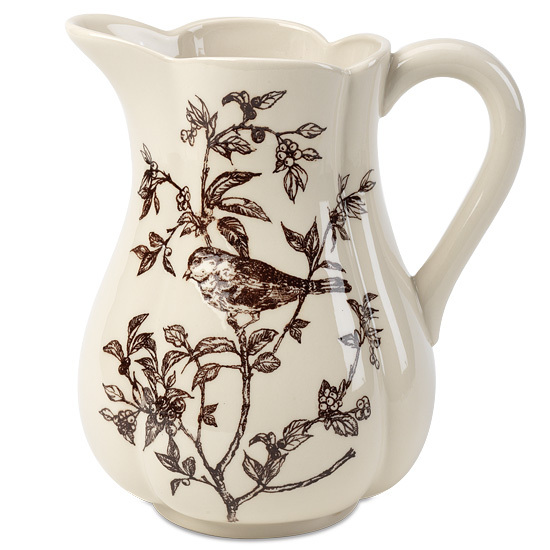 The vessel is quite eye-catching, its curvy sides adorned with a lovely espresso-colored bird toile motif. It will happily serve up favorite beverages or play host to a bevy of fresh blossoms. May we suggest our Chianti Pink Asiatic Lilies to fill this pitcher?